Jaguar built some beautiful cars in the past, but thanks to the F-Type, we have a hard time remembering what those cars were. 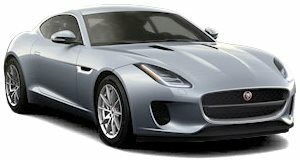 The F-Type has had such a profound effect on the way we think about automotive styling, it's difficult to put any of Jaguar's old cars, except possibly the E-Type, in the same league. For example, take the old Jaguar XK. We didn't want to say goodbye to the XK, but its death led to the creation of possibly the best looking new car on the market. Even though the XK was a stunning car, it doesn't look as good as the F-Type. This is a real shame as the supercharged XKR model can be bought for less money than a base F-Type. Luckily there is now a company in the UK called Grantley Design that will transform your old XK into an F-Type. The conversion is available for any XK model from 2006 to 2012 and costs around $12,000. It includes bumpers, skirts, fenders, headlights, wheel spacers, and more. The front of the conversion looks good, but unfortunately the rear and interior still look very much like an XK.